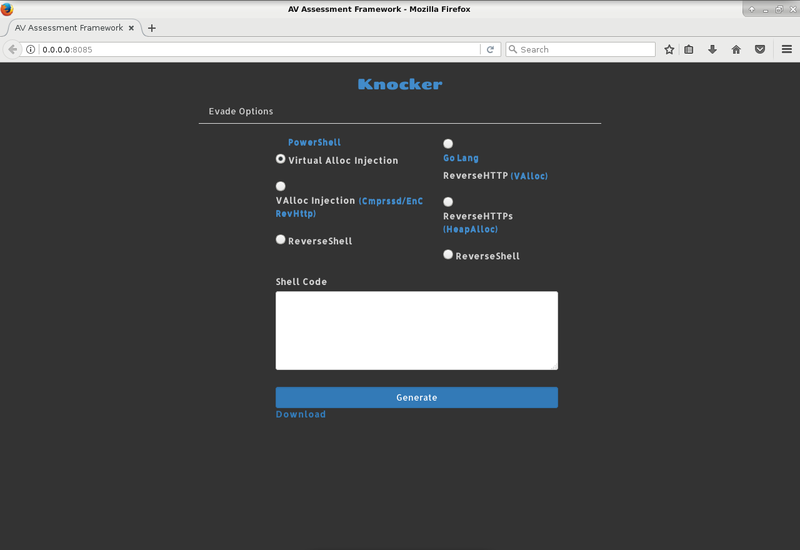 Browse: Home / Knocker – Endpoint Security Assessment Framework. 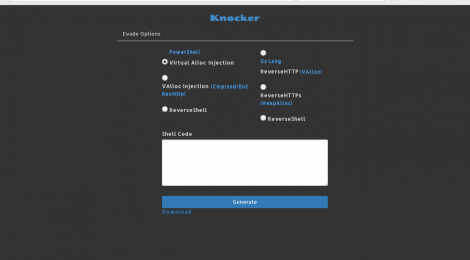 Knocker is an EndPoint Security Assessment Framework. User can create different types of executable files that will help to assess endpoints by trying different techniques to bypass endpoint protections including AntiVirus .Current beta version has 6 options 3 Powershell and 3 Go Lang Techniques. Virtual Alloc Injection : Inject windows/meterpreter/reverse_http powershell shell code, all other options need only RHOST and RPORT.